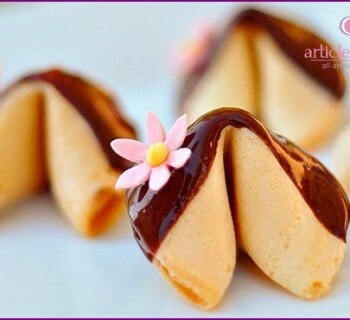 It is difficult to imagine a wedding, which will not be a single flower. 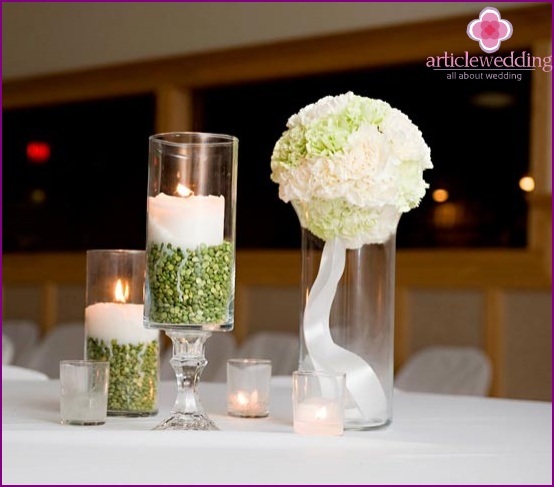 Any wedding is associated with lush bouquets and wedding table flower decoration and arches over the table Young. 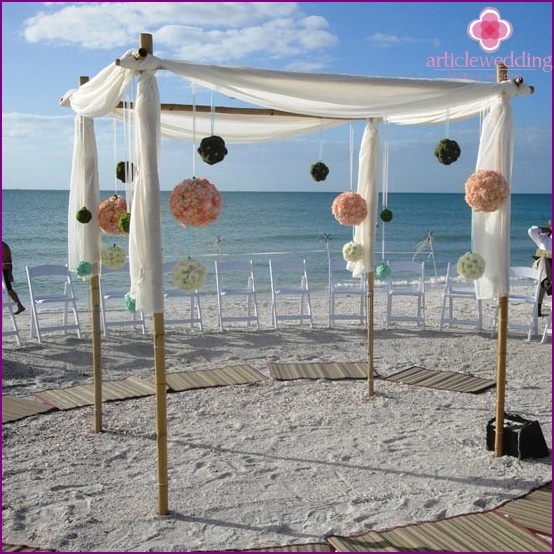 Why is the use of colors is so important in the world of wedding decor? First, bring flowers to the atmosphere of any celebration romantic notes. They create a unique atmosphere of joy and harmony. Secondly, flowers wedding hall is filled with a thin heady aroma. 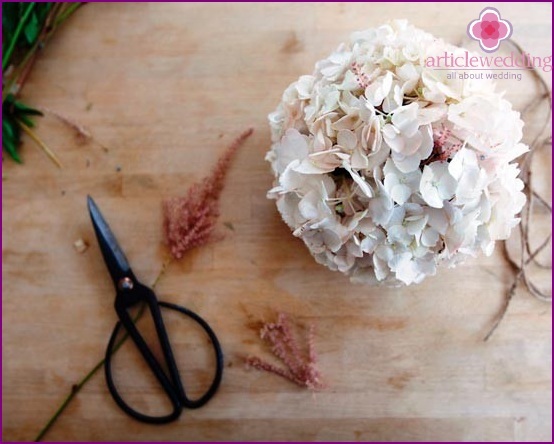 Decoration flowers - it is an opportunity to create a unique wedding design. 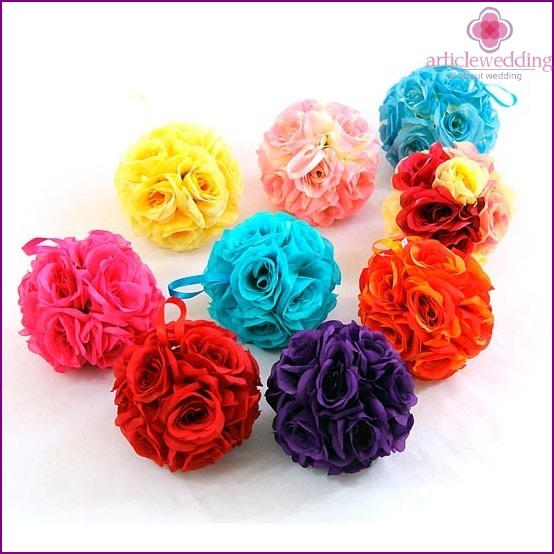 And most importantly - the bride herself can easilyaccessories make of flowers for their wedding. 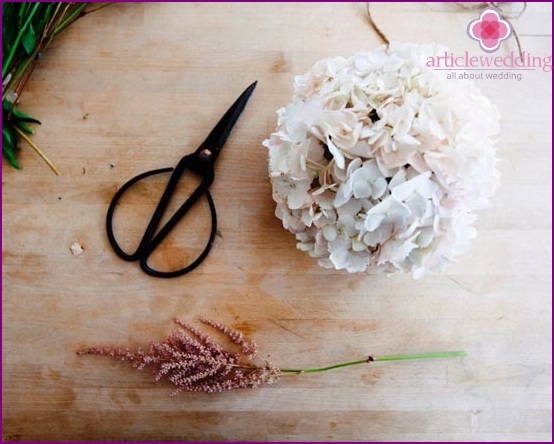 To learn how to feel like a real florist, you will learn at the wedding site www.articlewedding.com. You will learn from simple materials to create luxury decorative handmade jewelry. 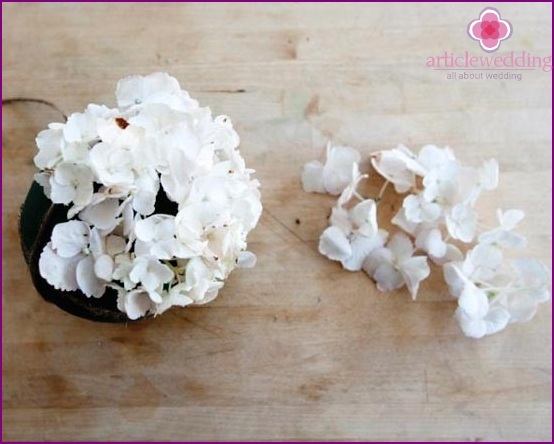 For this master class you can findany options for flowers of different colors, we would prefer the beautiful hydrangea flowers. Hydrangea - romantic flower with beautiful pastel shades, which will be combined with almost any interior. 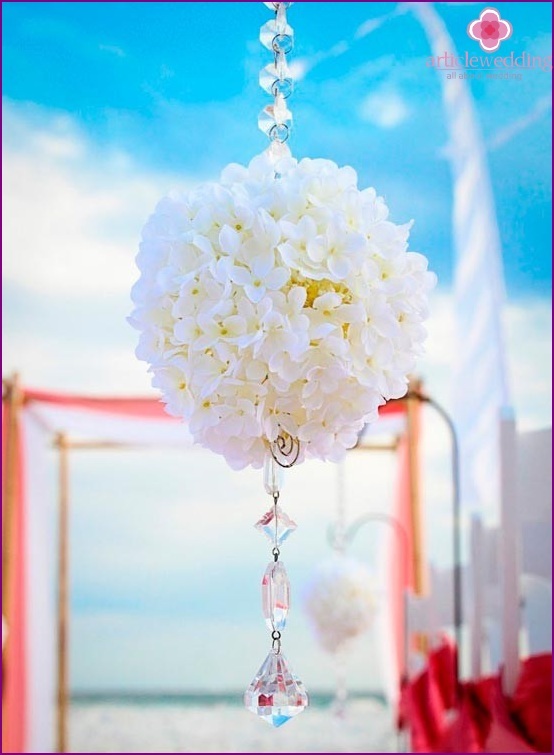 Manufactures such wedding decorations should be immediately before the wedding day, the flowers are not wilted. 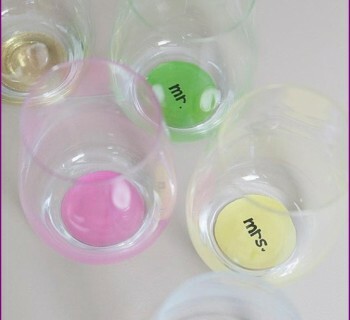 Connect the bridesmaids to the creative work, and you will quickly cope with the task! 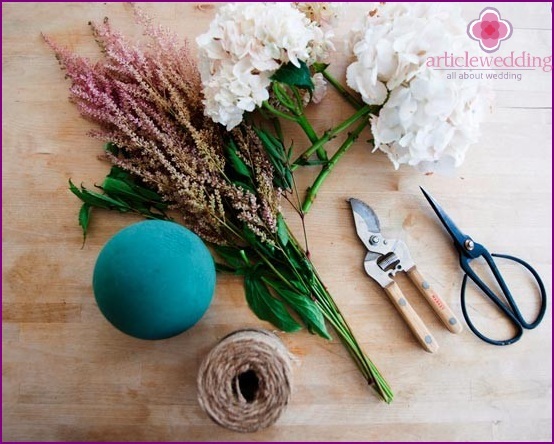 Before the master class in advancepurchase all the necessary materials, namely the rope and floral sponge in the shape of a ball. 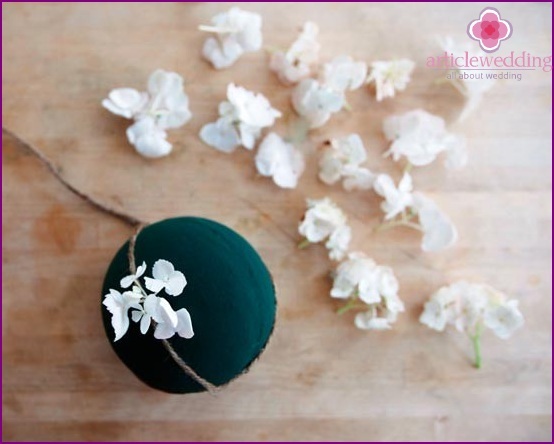 This ball is needed to ensure that the flowers are not wilted as long as possible, because it perfectly absorbs water, so that the desired color. You can purchase it in a flower shop. 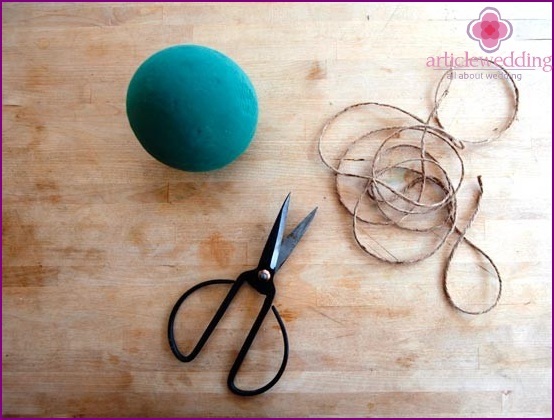 Unroll the required number of rope toit can be fixed on the ball of foam. Also, leave a piece for which you hang the ball over the table. 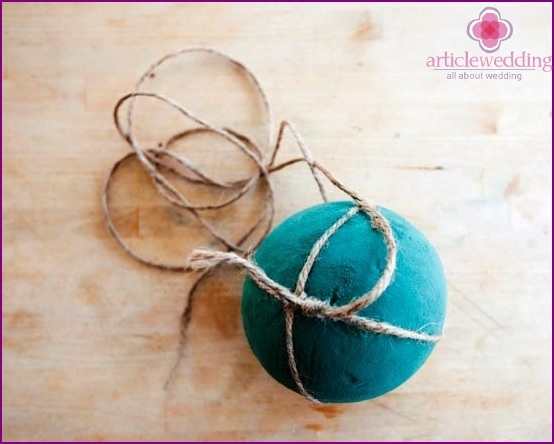 Carefully wrap the rope around the ball and tie a few knots. 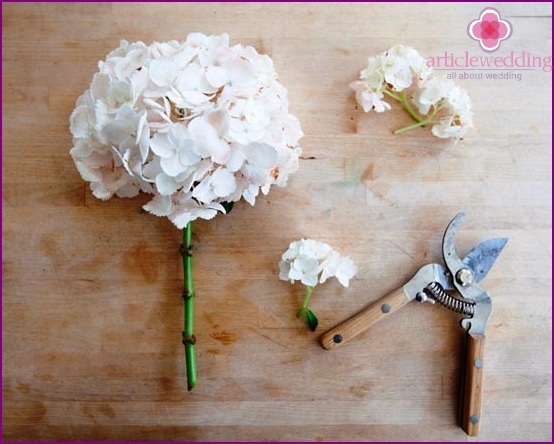 Take a sprig of hydrangeas and using gardenscissors cut off her stems with flowers. stem length should not exceed three centimeters, so that the stems can be inserted into a ball. Dip the ball for a few seconds in the water, so he had absorbed enough fluid. Make sure that the water was not too much, and it does not drip out of the ball. Now start to decorate flowers ball. Just push the stem in the foam, and the flower is firmly entrenched in the bowl. 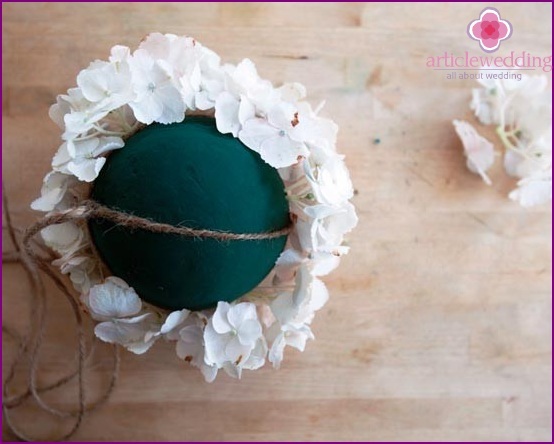 When half of the ball will be decorated, you can gently put it on the table right at the beginning. 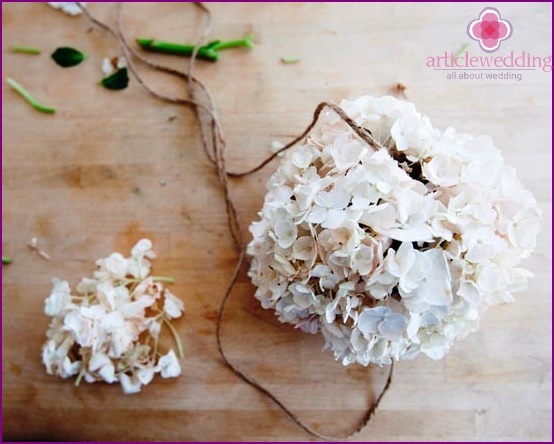 Decorate the whole ball of hydrangea flowers. Try to work hard so the flowers into a bowl to foam to be seen. 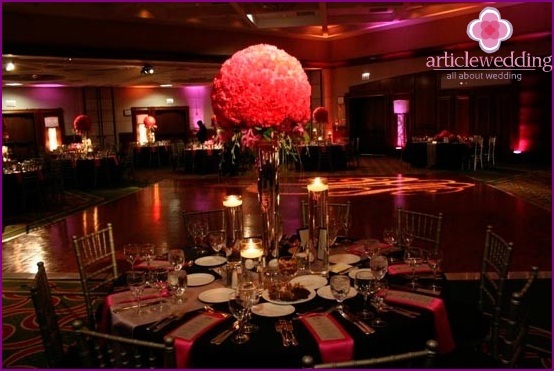 Use pink flowers, to create a little contrast. Wonderful pendant ornaments ready! 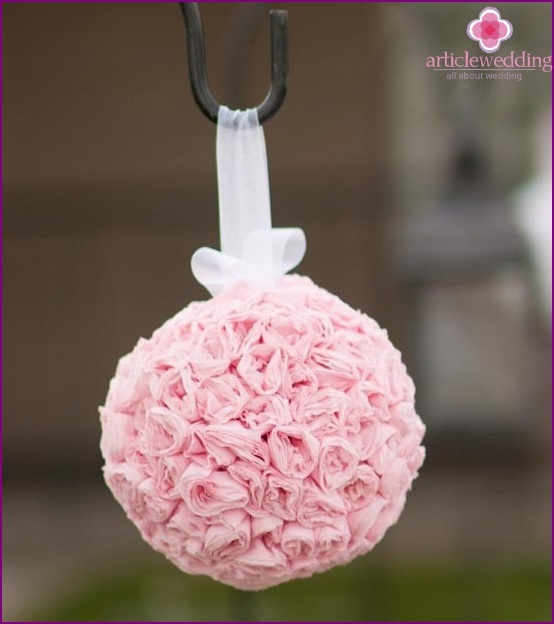 Such a wonderful wedding accessory can be hung on the festive table or chairs guests. 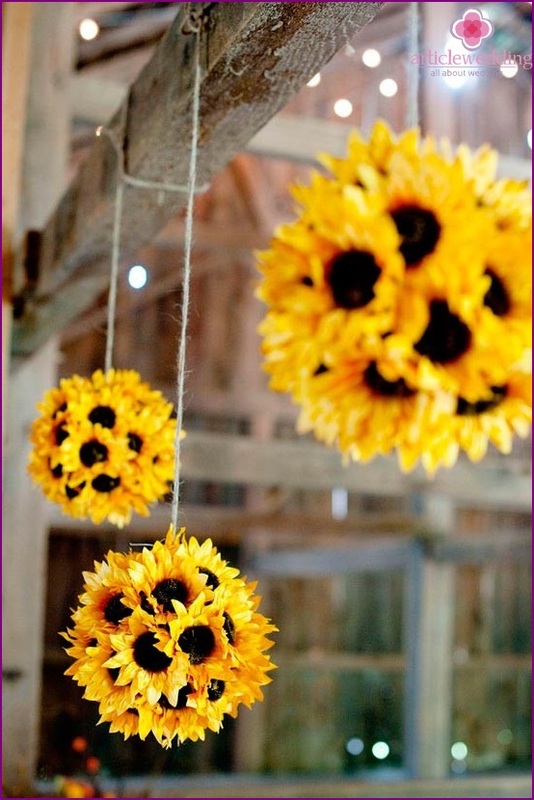 Also fashionable balls of flowers can be used for wedding photo shoots. 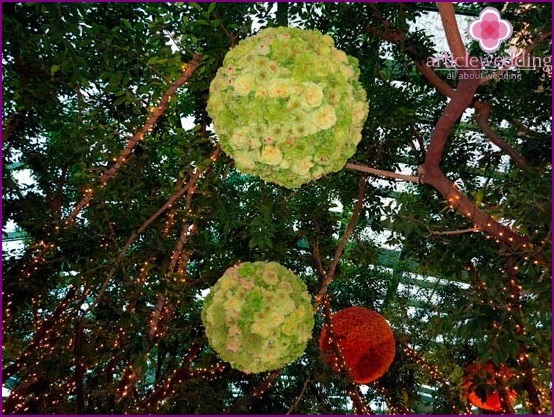 You can choose any flowers for decorationflower balls, the main thing that they blend harmoniously with each other. 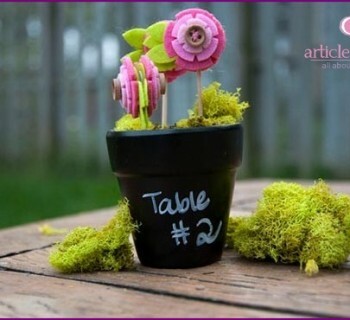 You can also use artificial flowers to create these decorations. However, fresh flowers will look more elegant and fresh. 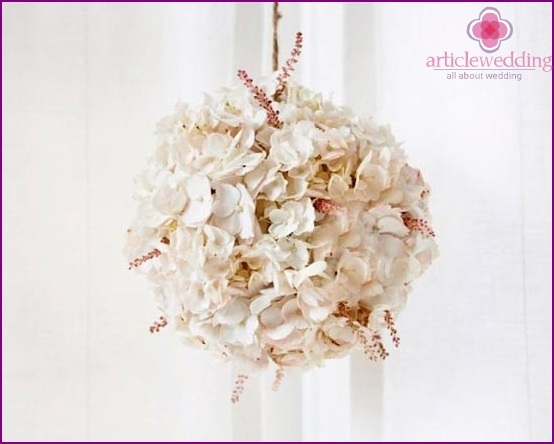 Such fancy flower balls you can decorate with strings of beads or beads to make them even more original. 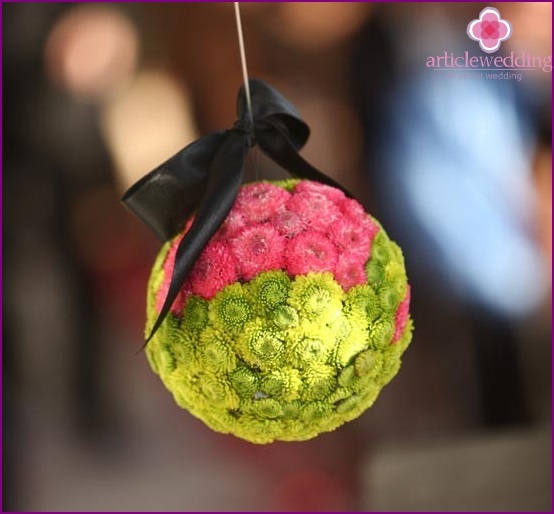 Website www.articlewedding.com hopes that your balls turn out very beautiful and neat and will entertain you throughout your wedding day!